Many of us spend most of May anticipating Memorial Day because it marks the kickoff of picnics, barbecues and the first official three-day summer holiday weekend. The National Safety Council wants to remind motorists to buckle up this Memorial Day weekend because the risks of being involved in a Boston car accident are heightened this time of year. Car accident lawyers in Boston and elsewhere throughout the state know how nice it is to sit back and relax at your first summer gathering, but the increased traffic and threat of too much alcohol consumption can make it risky getting home later. In 2009, the National Highway Traffic Safety Administration reported four fatal crashes in Massachusetts on Memorial Day. There were six deaths as a result of the crashes. The NSC estimates that this Memorial Day weekend, which begins Friday, May 27 at 6 p.m. and ends Monday, May 30 at 11:59 p.m., will produce more than 400 traffic fatalities and another 39,400 injuries needing medical attention throughout the course of the holiday weekend. The council also estimates that more than 100 lives could be saved during the upcoming holiday weekend if motorists choose to fasten their seatbelts while riding in the car. Over the last few years, Memorial Day weekend has been considered deadly when compared to similar non-holiday periods. Heightened traffic, aggressive driving, speeding and drunk driving have contributed to the averaged 12.2 percent increase in traffic fatalities during this holiday weekend over the last few years. In 2009, Memorial Day reported more traffic fatalities nationally than any other holiday, including New Year’s Day, Labor Day and Christmas Day. -Allow sufficient travel time to get to your picnic or gathering so that heavy traffic and the urge to speed don’t play a role in your travel plans to arrive on time. -If you are the designated driver, refrain from consuming any alcohol or have one cocktail at arrival which should cut off drinking hours before you plan to leave the barbecue. -Minimize distractions while you are driving by putting your cell phone in the glove compartment and entering the address in the GPS before you put the car in drive. -If stormy weather is a threat, use extra caution or wait out the storm in a safe place until it passes. -Ensure everyone, especially children, are buckled in before you start to drive. 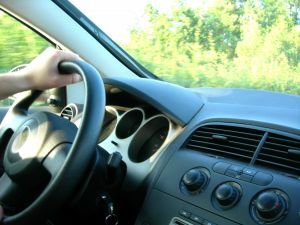 Massachusetts motorists are being warned that the zero tolerance enforcement of seat belt laws will be enforced throughout the state from May 23 to June 5, 2011. Police will pull over all motorists that are spotted without a sea tbelt. If you have been in a car accident in Boston or the surrounding areas, contact the Law Offices of Jeffrey S. Glassman, LLC for free consultation about your rights. Call 1-877-617-5333 to set up an appointment today. Another State Trooper Hit on the Job in Alleged Massachusetts Drunk Driving Accident, Boston Drunk Driving Accident Lawyer Blog, May 13, 2011.